TFV8 RBA-16 comes with huge deck and airflow as well as premade 0.16ohm Octuple core fused clapton coil. It almost compatibles with all resistance value clapton coils and you can DIY easily. 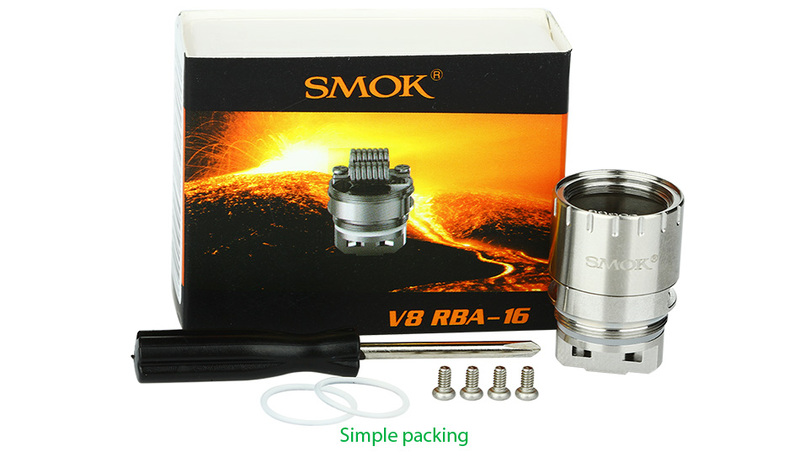 SMOK TFV8 RBA-16 Coil comes with huge deck & airflow. It almost compatibles with all resistance value clapton coils and you can DIY easily. Also the RBA-16 has a premade 0.16ohm Octuple core fused clapton coil with power range is 40-100W (best 80W).